Action Lab Entertainment never ceases to amaze me with their nonstop releases of entertaining and unique books. Recently I sat down with Space-time Condominium, and was absolutely blown away by both its presentation and writing. The premise of the book is, a every day Joe named Griffin Griffins, who has just been kicked out of his apartment is approached by a strange man called “The Gatekeeper”. It turns out that The Gatekeeper is collecting Griffins from parallel Earths to live under one roof. Imagine The Real World meets Seinfeld, and prepare yourself for uncontrollable fits of laughter. The other Griffin’s are comprised of a uptight computer programmer, white trash alcoholic, flamboyant aerobics instructor, and one that comes from a world where white people think they are black. They go all out with presenting this as a first season collection of Canadian sitcom “Space Condo”, they go as far as making the front and back cover look like a Blu-ray case, a detail this media nerd swooned over. When creators take the extra time to really give readers and fans the most bang for their buck, it puts a smile on my face. Every turn of the page, I found myself chuckling and feeling like I was in fact digesting a really well written sitcom. For the first time ever readers will also be given a bunch of bonus content including their first exposure to the previously unreleased pilot episode that sets up the series up, and interviews with cast and crew in true Blu-Ray extras fashion. Over the last year, Dave Dwonch has become a name that is forever embedded into my comic’s radar, anytime I see his name involved with a comic, I know its worth my time picking it up with no worry of regretting it. If you grew up in the 90’s with your nose on a TV screen, you will instantly fall in love with this series. The writing is very witty and has a little bit of something for everyone. Every episode of the first season is top notch, showcasing truly hilarious crude humor, and covering a large range of scenarios, my personal favorite involving zombies. This book is endlessly clever, and once again proves that Action Lab Entertainment is one of the best indie publishers around today in terms of continually coming up with new interesting ways to push the medium forward. 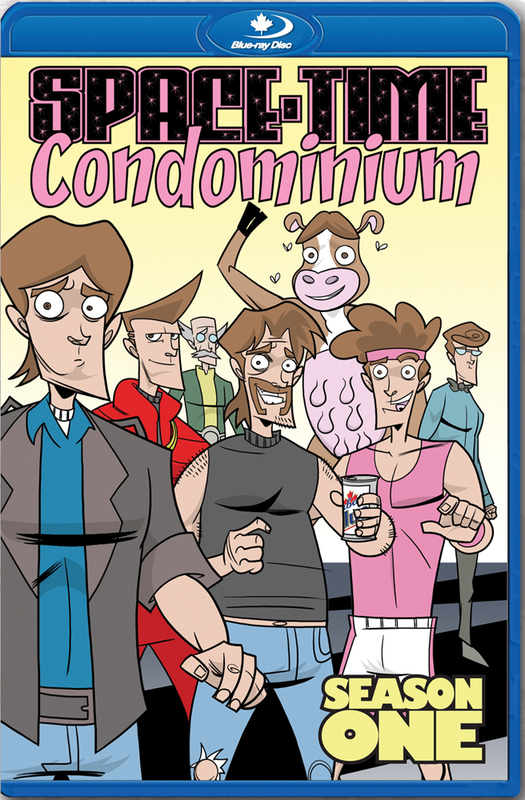 I cannot wait for season two of Space Condo, and to see what Dave Dwonch comes up with next. I can not recommend enough that readers give this book a read, and also highly recommend picking up a copy of Back in The Day to go along with it, for a double feature of comedic genius. P.S. Adult Swim, this would make a great animated series, just saying.